Since old times, music has been an essential part of all kinds of ritual ceremonies and also shomyo is a ritual music. 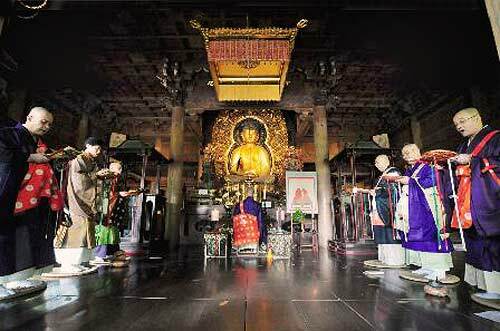 It is sung in a Buddhist ceremony by a group of Buddhist monks. 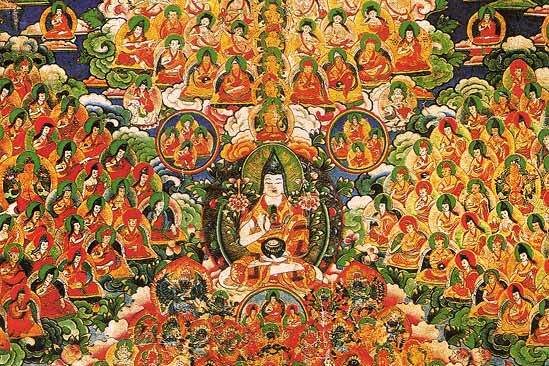 The original form of shomyo was practiced in ancient India and after that, through Tibet, China and Korea, it arrived in Japan. Since then, the shomyo singing tradition in Japan is succeeded till today without any break. 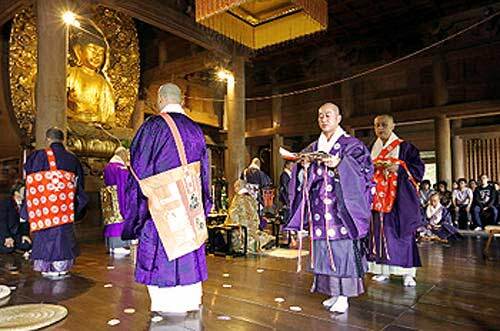 There is a written record that on 8th of April in 752, there was a memorial service of the inauguration of the great Buddha statue at Tôdai-ji Temple in Nara, Japan and shomyo was sung by hundreds of monks in the ceremony. Shomyo is regarded as fundamental for all later Japanese traditional music, since most of Japanese traditional music is based on singing. 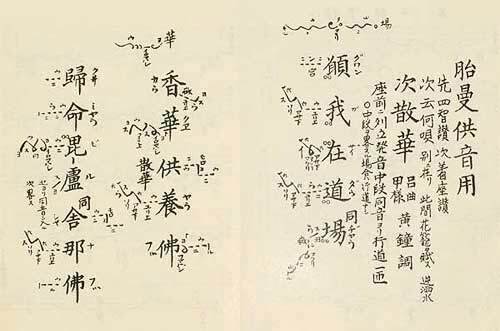 At the same time, it is said that shomyo has historical relations with numerous ancient song styles in the world. Literally translated, the word “shomyo” combines the characters for “voice” and “wisdom”. 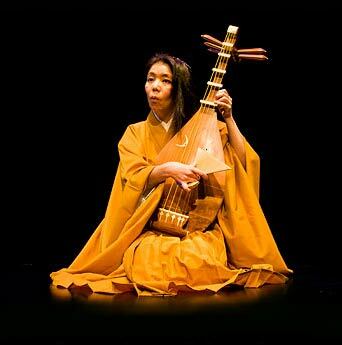 A Japanese shomyo piece is constructed by melody patterns, each sung with one breath. Portamento and extended pitch-bending are one of the important elements to shape the melody patterns. Conceptually the melody patterns are regarded to remain in the space and filling the space. 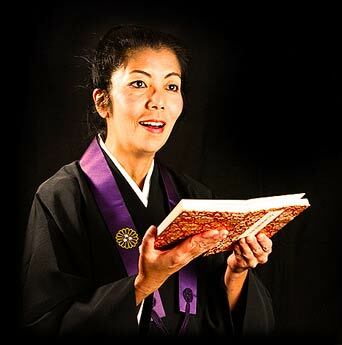 In this way, shomyo chanting creates its unique concept of time and space. 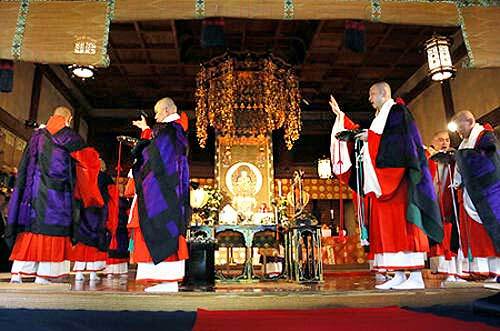 When shomyo is sung by trained monks, their religious piety will be expressed through their voices, piling up time in the space. In this CD 'Meditative Flowers', Junko Ueda sings solo repertoire from the Tendai shomyo. Here below is a sound sample of the piece Kuyômon. More sound samples and information on the CD can be found at the CD page. “When I encountered Japanese shomyo Buddhist chanting in the beginning of 1980s, I experienced an unforgettable sensation: apart from perceiving sound with the ears and the intellect, an intense mass of voices vibrated directly inside my whole body. Being captivated by shomyo chanting, I became a student of the great shomyo master Mr. Kôshin Ebihara, a celebrated monk of Tendai-shû Buddhist sect. During these lessons, Mr. Ebihara often expressed the philosophy and the basis of his shomyo chanting: “Shomyo chanting can obviously be enjoyed as an art music. However, above all, the shomyo chanting is a most serious training and an expression of a religious feeling by a devout Buddhist person.” During years of daily practicing, one may gradually enter its profundity. While reflecting the words of the teacher, I could gradually explore some of this profundity and the significance of the shomyo chanting. During practicing I realized that the breathing is the most essential necessity for human survival. The slow melismatic shomyo chanting makes you aware of the considerably extended length of breathing. This resembles to a religious act which gazes at the breathing as the root of human existence. Breathing is equal to the life. In other words, enjoying the breathing every moment is equal to enjoying the life. This seems to me an important message behind the shomyo chanting. So what was that first sensation that caught me when listening to the shomyo chanting for the first time? Instead of a beautiful melody or some excellent musical virtuosity, I seemed to be touched by the power of a single breath, a power which made my body vibrate. It was the sensation of the breath ‘息’ (IKI), the spirit ‘意気’ (IKI) and the life ‘生き’ (IKI). Thinking about this, I sing shomyo once again. Then I feel thankfulness and happiness. I would like to bring the voice of shomyo out of the Buddhist temple and to share my experience and thoughts about shomyo chanting. Also, I would like to approach to a world of universal sensitivity of human being through the expression of ‘the breath’ that has been nurtured in the Japanese culture. The world of shomyo is extremely profound. I feel I have just started rowing out into the great ocean of shomyo chanting and it seems to take more time to be able to sail freely over this great ocean. However, exposing the power of breath in the shomyo Buddhist chanting may fill the heart of people with a moment of peace." 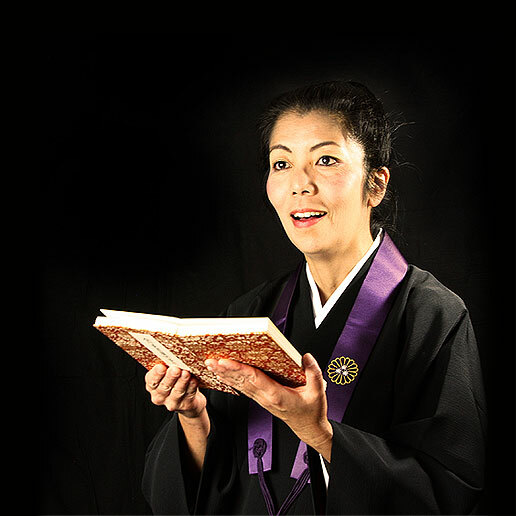 Junko Ueda presents her shomyo workshop and lecture for small or large groups. Read all the informations about it here. The Biwa Vocab is a vocabulary catalogue and sound library of the satsuma-biwa by Junko Ueda.